There are several ways to see the beautiful island of St. John. With so many wonderful outdoor activities at your fingertips, it’s hard to make the decision of which is best! Whether you want to go hiking, parasailing, safariing, or kayaking, you are sure to see more of St. John than you will on your own two feet. And we recommend all of these great activities during your vacation stay. However, one of our absolute favorite ways to see the island from a new perspective is on the water. When you kayak St. John, you will discover the wonders of our surrounding turquoise waters. Hidden coves and rock formations provide great nooks to explore, whereas coral reefs can be seen through the clear waves as you paddle along. Here are some of our favorite ways to kayak St. John! For more information on outdoor activities you can enjoy while exploring St. John, contact our knowledgeable concierge service at CimmaronStJohn. We will set you up with premier island outfitters for these activities, including tour guides that will help you kayak St. Johns most beautiful bays and beaches. There are many kayak services located on the island of St. John, and we will help choose what is best for you! Our concierge service is more than happy to help you plan your itinerary when it comes to booking outdoor excursions. Whether you are looking for specific unique tours, the best and trendiest gear, or the most reliable guides, we can help place you with your ideal kayak outfitter. We will focus on some of our favorite tours available when you decide to kayak St. John! One of our favorites on the island is Arawak Expeditions, a company which offers half-or-full-day kayak and snorkel tours. The Hurricane Hole Full-Day Excursion is a particularly fun guided trip. This adventure will take you to the Coral Reef National Monument and allow you to explore Water Creek, Otter Creek, and Princess Bay. You will get the one-of-a-kind chance to snorkel in the mangroves, observe schools of barracuda, and admire colorful sea anemone. The excursion will include a picnic lunch as a break along your full-day journey from Mongoose Junction to Hurricane Hole. More off-the-beaten-path tours await when you decide to kayak St. John with Hidden Reef Eco-Tours. One of our favorite tours at this kayaking outfitter is the Full Moon/Twilight Paddle. Combining astronomy, tranquility, and wonder, this unique tour will take you out on the Caribbean waters illuminated by moonlight. There is a special magic that ripples through the crystalline St. John waters at nighttime. Soak in this incredible moment; it’s a memory that will last for years to come when you look back on your Caribbean vacation! Discover St. John from a variety of angles when you go on a kayaking tour with Virgin Island Eco-Tours. This outfitter provides 3-5-hour expeditions to different areas around the island, allowing you to choose which slice of paradise you would like to explore. There are also some great hiking, snorkeling, and kayaking combinations that will allow you adventure both by land and sea! After exploring St. John during these kayak tours, settle in for the afternoon or evening at your private CimmaronStJohn vacation villa. Sit back, relax, and create a cocktail concoction in your fully-equipped kitchen. 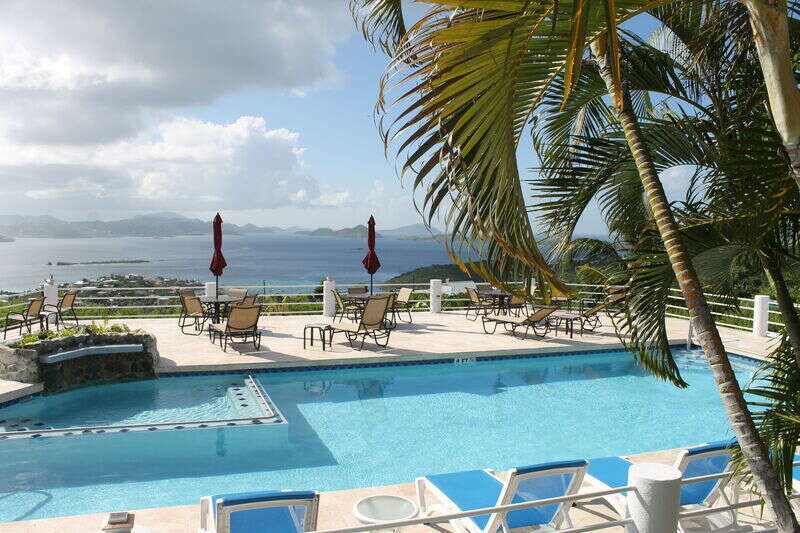 Then, sit outside on your private deck and soak in the beautiful Caribbean views and fresh, ocean or bay breezes. Paradise awaits!